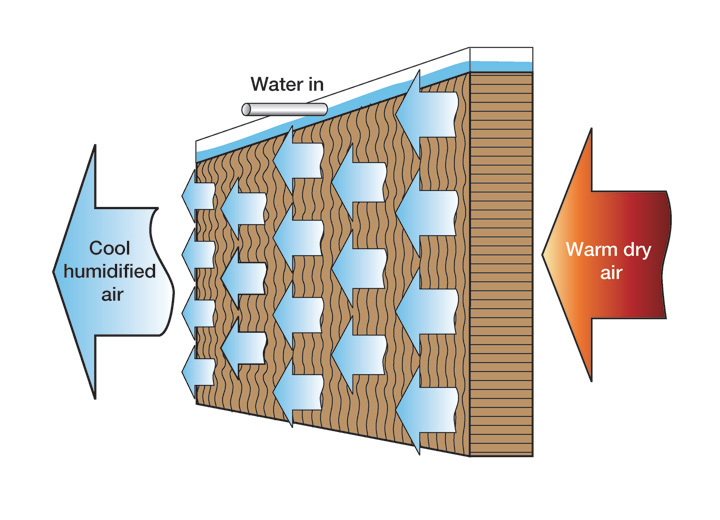 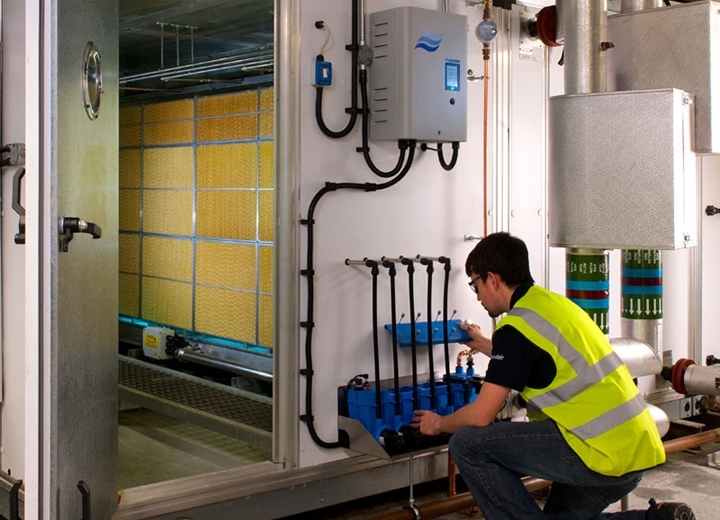 A single unit can provide up to 1,000kg/hr of humidification and 630kW of evaporative cooling to an air stream while operating on less than 0.3kW of electricity. 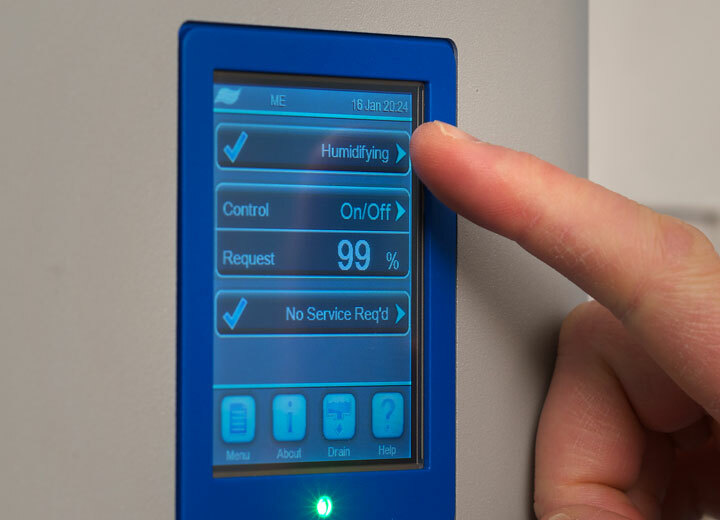 As well as being economic to run the Condair ME is also easy to operate with an advanced touch screen control panel, simple to maintain with industry leading service features and employs the latest in hygiene technology. 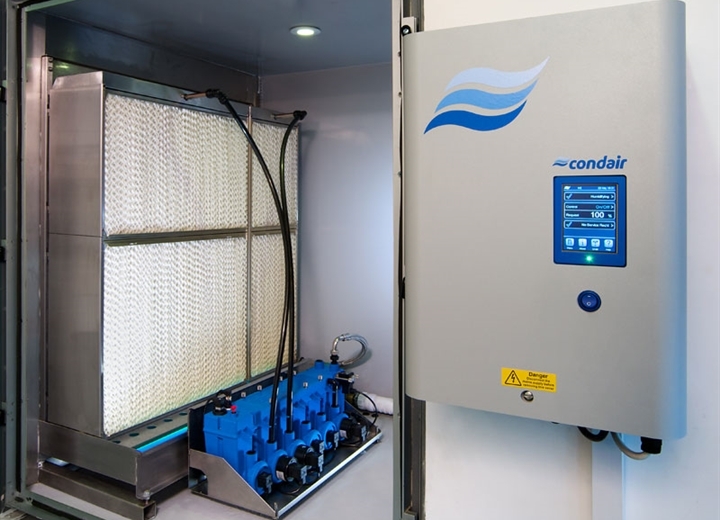 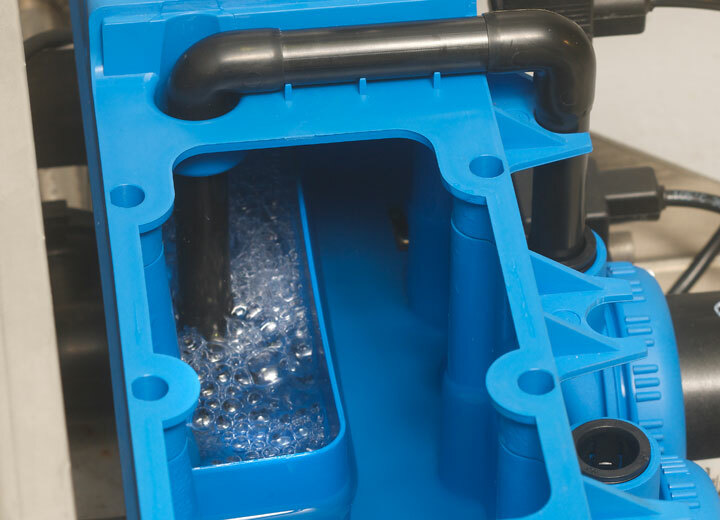 The Condair ME incorporates up to five low energy 32W pumps rather than single large pump. 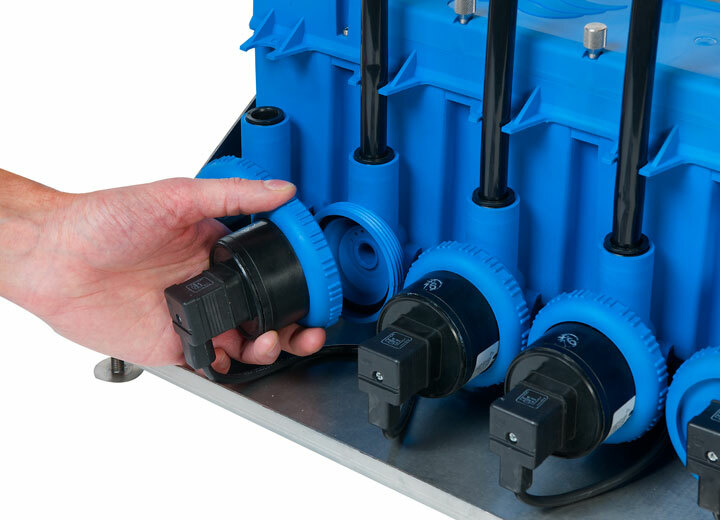 This allows proportional energy consumption to system output and provides up to five-stage control as standard. 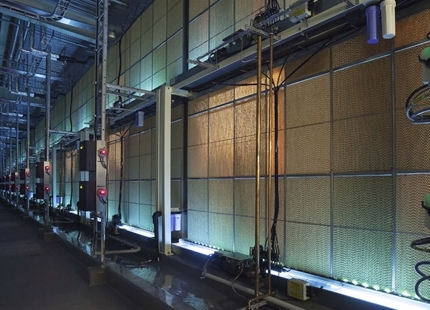 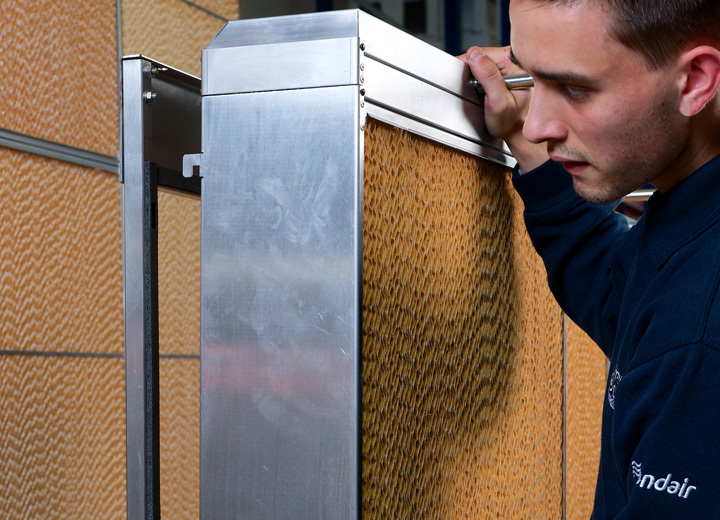 Evaporative humidifiers provide instant humidification without any aerosols in the AHU. 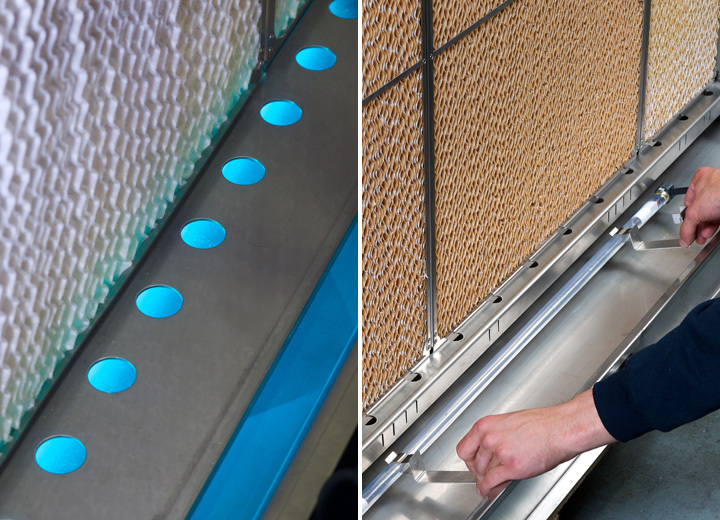 This means they can be situated in short section lengths without the risk of wetting on bends. 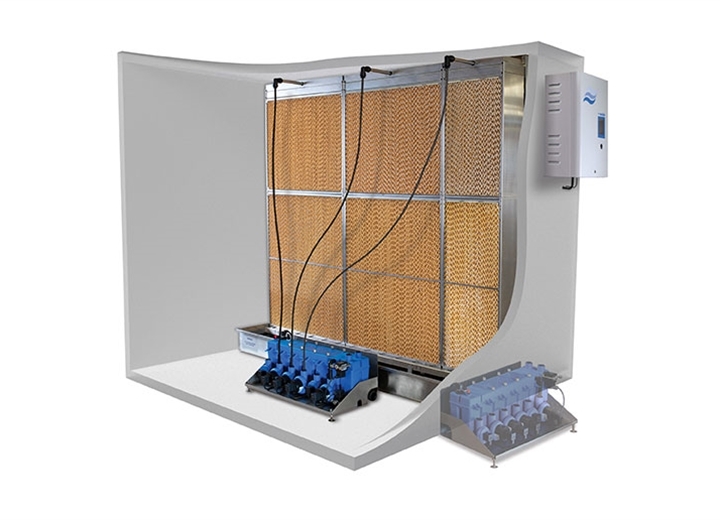 As minerals left behind after evaporation are regularly sent to drain, service requirements are considerably less than steam humidification.